From an early age, Ian had a passion for flying and sensed God’s call to mission aviation in his late teens. Meanwhile Adele always had a desire to work in cross cultural settings and to serve God in mission. Thus, not surprisingly, soon after being married they set out for the Bible College of Victoria, where Ian completed a Diploma of Mission Aviation in 2010. 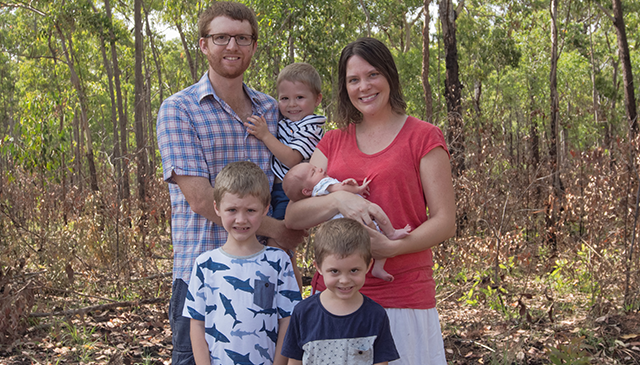 Since 2011 the Purdeys have served with MAF in Arnhem Land. They have lived and worked in the remote indigenous communities of Milingimbi and Galiwin’ku and are currently based in Yirrkala on the Gove Peninsula. 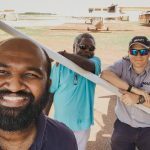 Ian flies the Yolngu people to and from remote homelands and communities, assisting local churches and outreaches, transporting health and education workers and many others. He is also involved with the MAF check and training program. 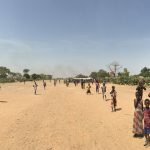 Adele cares for their four boys, James, Edward, Josiah and Theodore, while getting involved in the local Yolngu community and with the MAF Arnhem Land team. As a family the Purdeys seek to support the local Yolngu Christians using the gifts God has given them and to be a light for Him in their daily lives. To the only God our Saviour be glory, majesty, power and authority, through Jesus Christ our Lord, before all ages, now and forevermore!